The ESP LTD brand has an outstanding reputation for delivering quality electric guitars at affordable prices. Out of their entire line of guitars, the ESP LTD EC-1000 Deluxe is among the most popular. It is one of the brand’s higher-end guitars, with premium features that you would expect from guitars that cost twice as much. The EC-1000 is known for being one of the best value guitars on the market. It really bridges the gap between the LTD budget line of guitars and ESP’s premium guitars. For under $1,000 you’d be hard pressed to find anything that even comes close what the LTD EC-1000 can deliver. In this article, I’ll be giving a comprehensive review of this guitar, breaking down its specs, features, playability, and sound. Having owned several of these guitars, I’ll be able to break down all of the nuances of this guitar, so you’ll know exactly what to expect. After reading this post, you’ll be able to decide if the ESP LTD EC-1000 is the right fit for your play style. 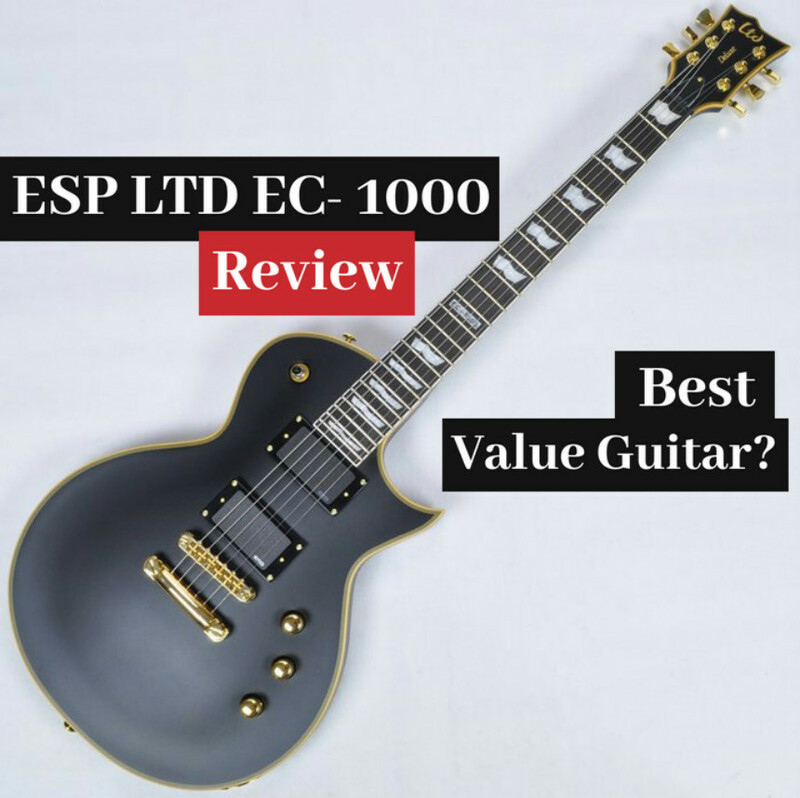 Is the ESP EC-1000 Deluxe Right for You? Here are specifications for the ESP LTD EC-1000 deluxe directly from the official ESP website. Keep in mind that these are the specs of the default version. There are several different EC-1000 models you can choose from that vary slightly in features (see below). For the most part, all of the ESP LTD lines of guitars are modeled after ESP’s official premium guitars. The LTD EC-1000 is no exception, sharing the same design as the ESP Eclipse E-II. Naturally, it makes sense to compare the two to see if the budget guitar can hold its own against the real deal. The ESP Eclipse E-II is manufactured in ESP’s top of the line factory in Tokyo, Japan. This is where a lot of their custom shop guitars are made, so you can expect the very best build quality that ESP has to offer. On the other hand, the EC-1000 is manufactured in South Korea. Guitar factories in Korea have a very good reputation. As far as budget guitars go, Korea makes the highest quality guitars out of the typical overseas manufacturers. In most respects, Korean made guitars are superior to guitars produced in Indonesia and China, which are other common countries where guitars are mass produced. 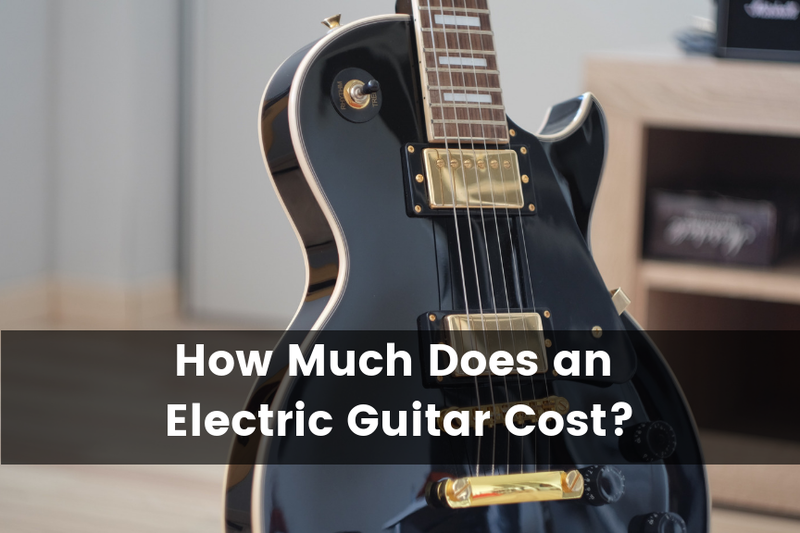 Guitar manufacturers will typically have their higher end affordable guitars made in Korea and their lower end budget guitars manufactured in Indonesia or China. The Japanese and American factories are a step above and typically reserved for top of the line guitars. In terms of the design and features, the two guitars are practically identical. Though the ESP Eclipse does have the higher quality hardware, it hardly makes a difference in my opinion. The hardware on the EC-1000 is good enough to get the job done and you won’t really see a significant difference in terms of sound or feel. As for the sound quality, I wasn’t able to tell the difference between the two guitars at all, which truly speaks to how good the EC-1000 sounds. Both guitars feature the same EMG active pickups, design, and features, so it makes sense that they’d sound similar. In terms of overall construction and playability, I do give a slight edge to the ESP Eclipse, though nothing major. When playing the Eclipse it just seemed that there was more attention to detail. The finish was absolutely stunning with no imperfections at all. The fretwork was perfect with no sharp edges, allowing you to shred all over the neck with ease. Though, that’s not a knock toward the EC-1000. The EC-1000 still felt like a professional quality guitar in my hands. I would definitely not think of it as a “budget guitar.” The fretwork was solid, though I did notice some minor roughness around fret ends. Also, I noticed some imperfections in the finish where the neck of the guitar joins the body. Nothing major, but still something to note when comparing it against the best of the best. 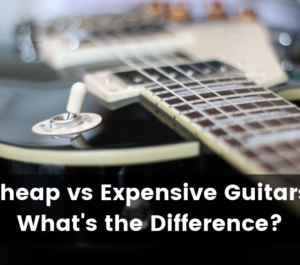 The biggest difference between these two guitars is the price. The EC-1000 costs about $850 new. If you want to upgrade to the ESP Eclipse, you’ll have to shell out $1,700 -$2,000, which is over twice as much. And if you’ve been paying attention to the comparison that should sound crazy to you considering how close these guitars are to each other in terms of quality. Well, this is actually a common theme among guitars. For the top of the line Japanese or American guitars, you’ll ultimately be paying a premium. The cost of labor is much more expensive in these areas, which dramatically ramps up the price. The EC-1000 really falls right into the sweet spot in terms of price vs. performance. After that, you’ll start to see diminishing returns. Don’t get me wrong. There are definitely guitars out there that are higher quality than the EC-1000. However, you’ll have to pay a lot more for a guitar that’s only marginally better. For example, the LTD EC-1000 offers 90% of what the ESP Eclipse E-II offers. So if you want the Eclipse, you’ll end up paying 2 times as much for a guitar that’s only 10% better. For what it’s worth, I personally have played both of these guitars extensively and ended up buying the EC-1000. From my experience, I felt that these two guitars are so close that I couldn’t justify shelling out the extra cash. But you don’t have to take my word for it. Here is a video of Rob Chapman doing a blind test of ESP and LTD guitars. You’d be surprised at how difficult it is to distinguish the guitars in terms of sound and feel. The design of the ESP LTD EC-1000 is very reminiscent to that of a Gibson Les Paul. It features a beautiful single cut shape with a vintage looking body, neck, and headstock. However, unlike a Les Paul, it is geared more specifically to metal players. It has a much thinner body and neck than a Les Paul, which makes it much easier to shred on. It also features 24 frets, which is something you won’t really find on any Les Paul. The one feature I personally dislike about the guitar is the inlays. I’m not a fan of the flag shaped inlays. In my opinion, they’re an eyesore, though it all boils down to preference. On the Vintage Black model, the gold hardware looks stunning in contrast with the black body. Also, the Vintage Black version features an ebony fingerboard which is much darker, which suits the guitar much better than rosewood in my opinion. If you opt for the other finishes, you’ll have a rosewood fingerboard with chrome hardware. If you’re looking for a modern take on a Les Paul with a thinner body and 24 frets, then you really can’t go wrong with the EC-1000. In terms of build quality, this guitar is the best you’re going to find in this price range. As a high-end Korean-made guitar, it’s definitely meant to be a workhorse for even professional players. The fretwork on both of my EC-1000’s was flawless. I noticed zero dead spots. The fretboard has a nice white binding around it that covers up any rough edges as you slide up and down the neck. The guitar has excellent hardware and tuning stability. The locking tuners really help the guitar stay in tune. At first, I did have some problems with the nut. I found that the strings were catching on it sometimes, which can affect tuning. I personally would just replace it with a graphtech, as this is what I do with pretty much all of my budget guitars. The EC-1000 has a set-thru neck construction, which looks amazing and helps a lot with sustain. I did notice some very minor imperfects on the finish where the neck meets the body of the guitar on the front side, but it doesn’t it really doesn’t affect your playing at all. Aside from the slight nitpicking, the build quality of this guitar is top notch. It’s very much a professional quality guitar that will last you for years to come. Just holding it in your hands, you can feel that you’re playing a premium instrument. To put it into perspective, the EC-1000 feels like it’s built better than any Epiphone Les Paul I have ever played. The LTD EC-1000 Deluxe features the EMG 81 bridge pickup and the EMG 60 neck pickup. These are the full-fledged, name brand pickups, which as awesome to see in an affordable guitar. Most guitar manufacturers tend to use in-house, generic pickups in their budget line of guitars. A few that come to mind are Epiphone, PRS SE, and Sterling by Music Man. They typically mass produce generic pickups overseas that are modeled after the originals to cut costs. Whenever I purchase a budget guitar with knock-off pickups, the first thing I do is swap them out. It’s great to see that ESP isn’t cutting corners with this guitar. You get the real deal right out of the box, so you don’t have to worry about replacing them. In addition, they also offer ESP LTD EC-1000 variants that feature Seymour Duncan pickups. For those who aren’t a fan of active pickups, you have the option of getting your guitar with the Seymour Duncan JB/59 combo. Again, these are high-quality pickups from an established brand name pickup manufacturer. 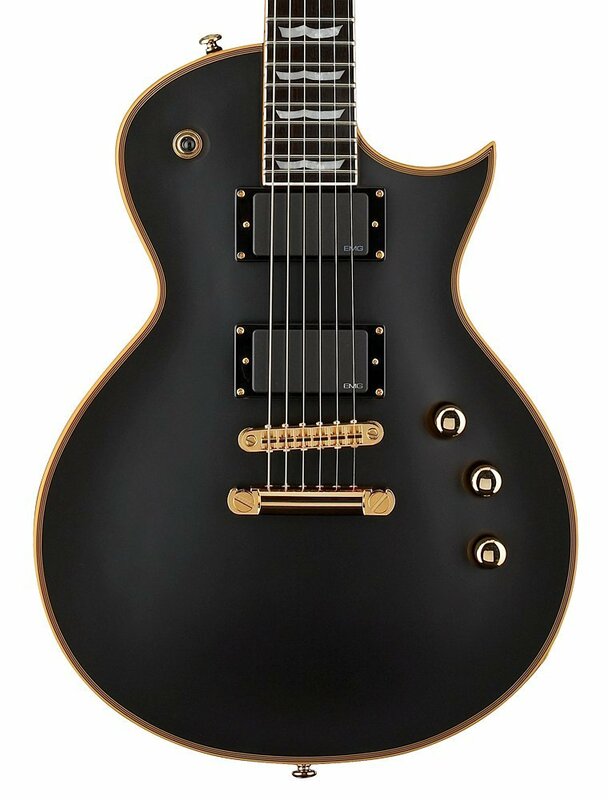 The fact that the LTD EC-1000 uses the same pickups as the real ESP Eclipse guitar (which costs 2-3 times as much) really goes to show the value you’re getting. In my opinion, the EC-1000 sounds excellent for what it’s trying to accomplish. The tone of the EMG pickups is either hit or miss depending on your preferences. Some people hate EMG active pickups due to their harshness. They’re very hot and have a distinct dryness to their tone. Others love them because of their high output and punchiness. They’re very good for fast rhythm chugs and Djent shenanigans. Personally, I wouldn’t use EMG’s for everything, but I do prefer them when I’m playing rhythm in heavier metal songs. But that’s just my preference. 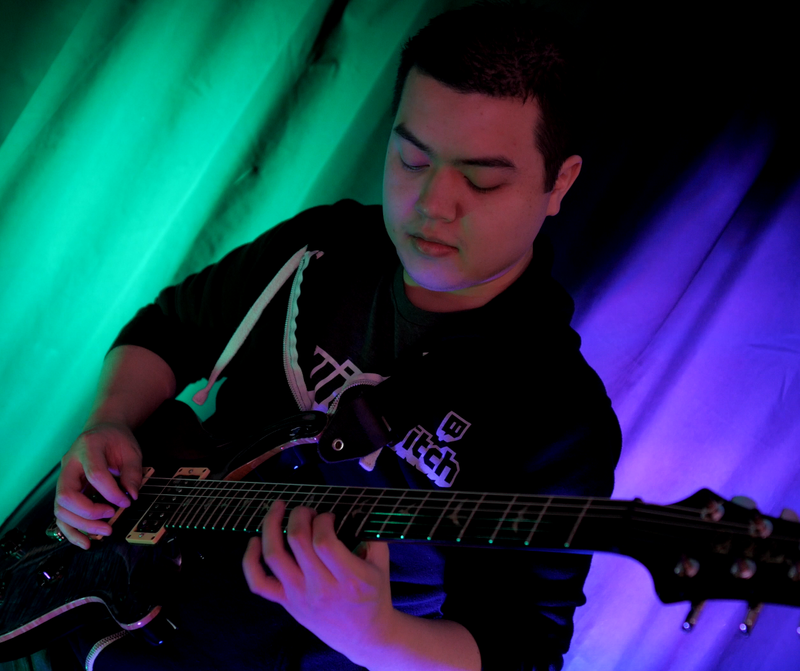 Many professional players, such as Andy James, exclusively plays on EMG’s, even for shredding solos. The neck pickup is great for smooth and creamy sounding solos. On the other hand, you could always opt for the EC-1000 model with Seymour Duncan passive pickups if you prefer. The Seymour Duncan JB/59 combo is a classic. In my opinion, they are much more versatile than EMG’s and I prefer them when I play leads. Whichever option you choose, you’re getting high-quality pickups from established brands in the industry. So, it really boils down to personal preference. In terms of playability, this is one of the EC-1000’s best qualities. Since the guitar is built so well, it plays like a dream right out of the box. I really didn’t even need to do a major setup when I first got it. The body features a Les Paul single cut style, but much thinner. This makes it a lot more comfortable to rest in your lap. It’s also a lot lighter than a Les Paul, so you’ll be able to play long sessions, sitting or standing. The neck is a Thin U shape, which definitely makes it easy to play on. It’s not quite as thin as an Ibanez Wizard neck, but thin enough so that you’ll be able to shred like a dream. As I mentioned previously, the fretwork on the EC-1000 is pretty much flawless. I didn’t experience any sharp fret edges or dead spots. One thing I will mention however is that access to the higher frets isn’t as great as it could be. This is in typical Les Paul fashion. The single cut shape doesn’t allow for your thumb to slide up far enough, so you’ll really need to reach for the higher frets. Unfortunately for me, I have small fingers, so this is always something that bothers me on single cut guitars. Aside from that, the playability of the EC-1000 is incredible. It’s every bit as good as a real ESP Eclipse guitar at half the price. Since the EC-1000 was the most popular guitar among the LTD, ESP decided to release various versions with unique features. This is great for consumers because you have so many options that you’re practically getting a custom guitar. The EC-1000T/CTM is more reminiscent to that of a traditional Les Paul. It has a thicker mahogany body and 22 frets instead of 24 on the standard EC-1000. Another similarity between the EC-1000T and a Les Paul is that it features a set neck construction instead of a neck through construction. However, this guitar features the same Thin U neck profile and EMG pickups, meaning it’s still meant for metal players. However, if you’re coming from a traditional Les Paul, or looking for a Gibson Les Paul alternative, you’ll feel right at home with the EC-1000T. I’ve mentioned it several times throughout the review, but the LTD EC-1000 is also available with the Seymour Duncan pickup configuration. With this, you’ll be getting the Seymour Duncan JB/59 combination, which is a very famous combination. If you’re looking for something more versatile than EMG’s, or just aren’t a fan of active pickups, this option is the way to go. One thing to note is that the Seymour Duncan’s are available in limited finishes. If you’re like me an prefer the Vintage Black finish, you’ll have to stick to the EMG’s. This version of the EC-1000 features the EverTune bridge. The EverTune bridge has a revolutionary design that ensures your guitar stays in perfect tune no matter what. It does this by keeping a constant state of tension on the strings regardless of temperature or humidity changes. If you live in an area where there is a lot of climate change or is humid, you should definitely consider this model. It sounds like it’s too good to be true, but I can assure you that it works like a dream. There’s a bit of a learning curve when it comes to setting one up properly, but once done, you basically never have to retune your guitar. The EC-1000P features a piezo pickup in addition to the normal pickups. This allows you get acoustic sounding tones out of your guitar. It’s a great option for someone who wants more versatility with their tone. You have the option to switch between using the piezo or magnetic pickups exclusively, but you also have the ability to mix the two together. This allows for a lot of creativity. Some notable players who are known for using piezo pickups are Ben Burnley from Breaking Benjamin, who actually uses this exact guitar and John Petrucci from Dream Theater. If you’re interested in doing some cool whammy bar tricks and dive bomb shenanigans, then you should definitely consider the EC-1000 Floyd Rose. As the name implies, this guitar features an authentic Floyd Rose floating tremolo system.. Floyd Rose tremolos aren’t for everyone since they can be a pain to set up, but once they’re set up properly they are very reliable. You’ll have excellent tuning stability during regular paying and while using the tremolo thanks to the locking nut. One thing to keep in mind with Floyd Rose tremolos is that you won’t be able to easily change your tuning. Also, if you want to switch string gauges, it’ll require you to set up the tremolo again. The EC-1000M is basically just a regular EC-1000 with a maple fretboard. It’s a unique take on this guitar because maple is much brighter in terms of aesthetics and in terms of sound. Depending on your preferences, it could be a good option. The specifications on this guitar are pretty much the same as a regular EC-1000, not it’s mainly just the aesthetic. These models were a limited run, so they’re pretty hard to get your hands on. You won’t be able to find them new, so if you want one, you’ll have to look for it used. 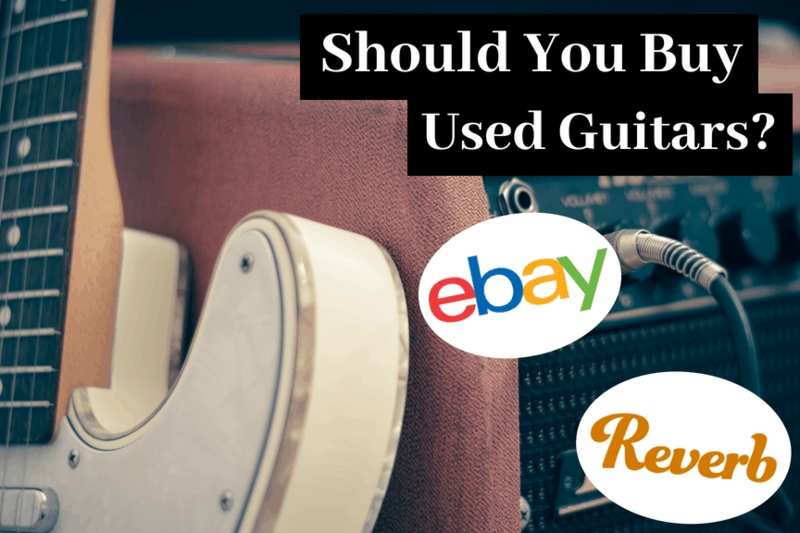 eBay and Reverb are probably your best bet. Now if you’ve made it this far into the review, you can tell that I think very highly of this guitar. And on paper, the EC-1000 is objectively a fantastic guitar, especially when you consider the price. But is LTD EC-1000 guitar right for you? Here’s the deal. This guitar is definitely a great value, but it is not meant for everyone. Like I’ve mentioned throughout the review, this guitar was clearly designed with metalheads in mind. The fact that it has EMG Active pickups, thinner single cut body, and 24 frets make it awesome at what it’s designed to do. If you primarily play high gain music, such as hard rock or heavy metal, I would wholeheartedly recommend this guitar 100%. I can assure you won’t be disappointed. However, if you want to branch out and play other genres of music, there are definitely more versatile guitars out there. For example, if you’re interested in playing blues, jazz, country, or pop, a Les Paul or a Stratocaster is much better at handling low gain tones. 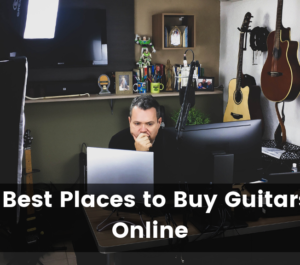 You can find an Epiphone Les Paul or a Mexican Stratocaster for cheaper, and they’ll get the job done. To wrap things up, the ESP LTD EC-1000 is an absolute beast of a guitar. It’s a professional quality guitar at an affordable price. You’d be hard pressed to find another guitar for under $1000 that offers this kind of value. Whether you intend to use this guitar as your primary guitar, or a secondary workhorse guitar, you can be confident that it will last you for years to come. I hope you enjoyed this review. Be sure to check out the rest of the articles on Guitar Advise for more guitar reviews, gear advice, and recording tips.